Encourage your kids to look after wildlife by building this modern birdhouse. Costing less than $20, this contemporary, minimalist house can be made in a couple of hours (there's a full cutting list and instructions, and even a video to help you). And don't be put off by the tricky-looking angles. 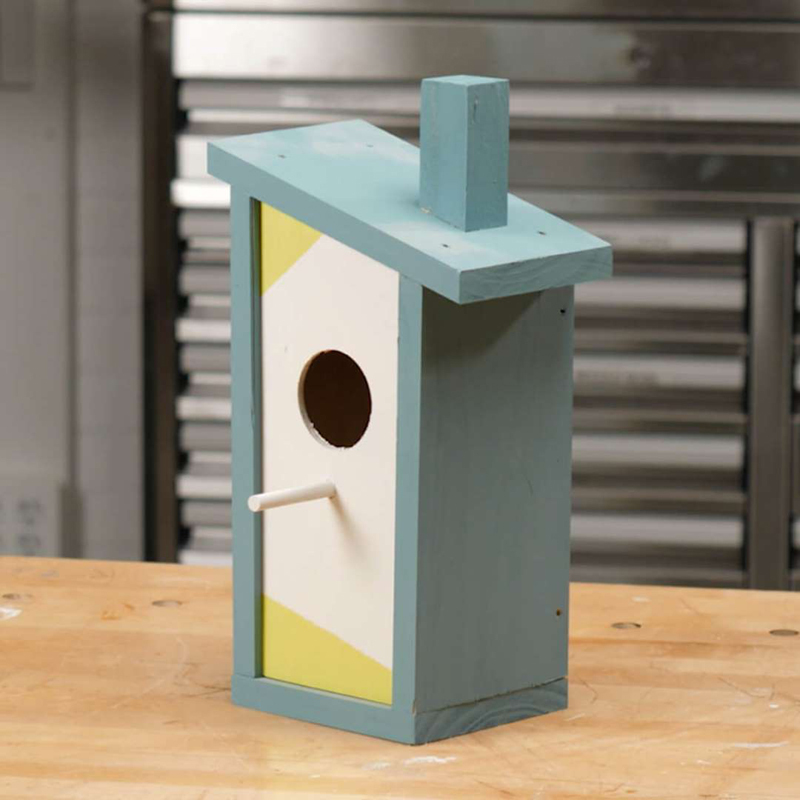 Everything is clearly explained so you'll have your smart birdhouse completed in no time. 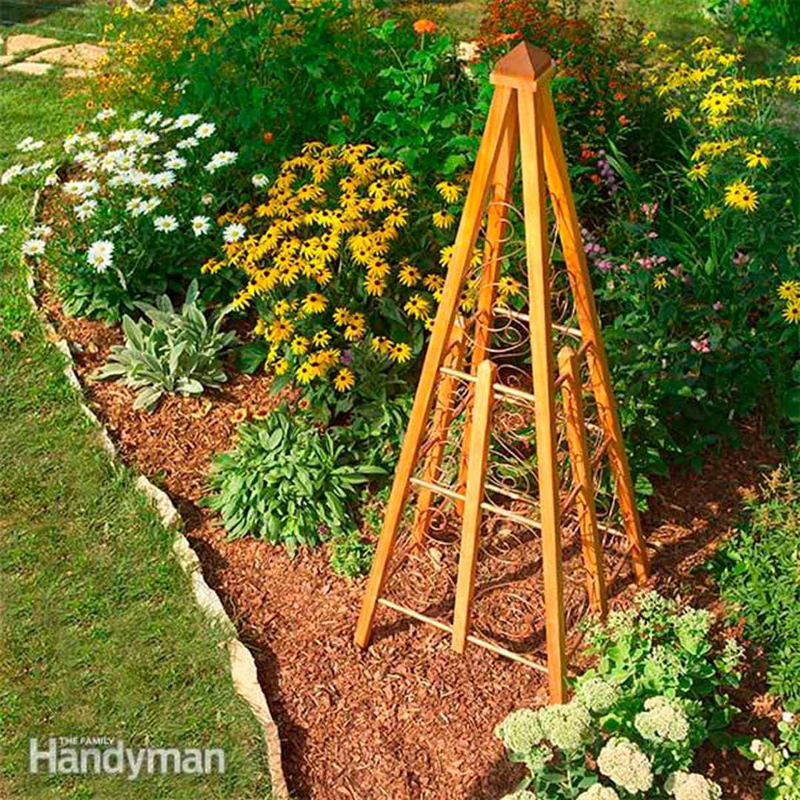 Kids love to grow plants, so why not build this beautiful cedar and copper trellis to support growing climbers. The cedar is rot-resistant, and the copper wire scrollwork will weather to make the trellis even more attractive. This structure works well in a flower border, but can also be used in a container to grow clematis, vines or climbing roses – or have the kids plant sweet peas for delicate beauty and fragrance.The copper wire will cost around $100, but you can reduce the price considerably by only putting on the outward-facing side. 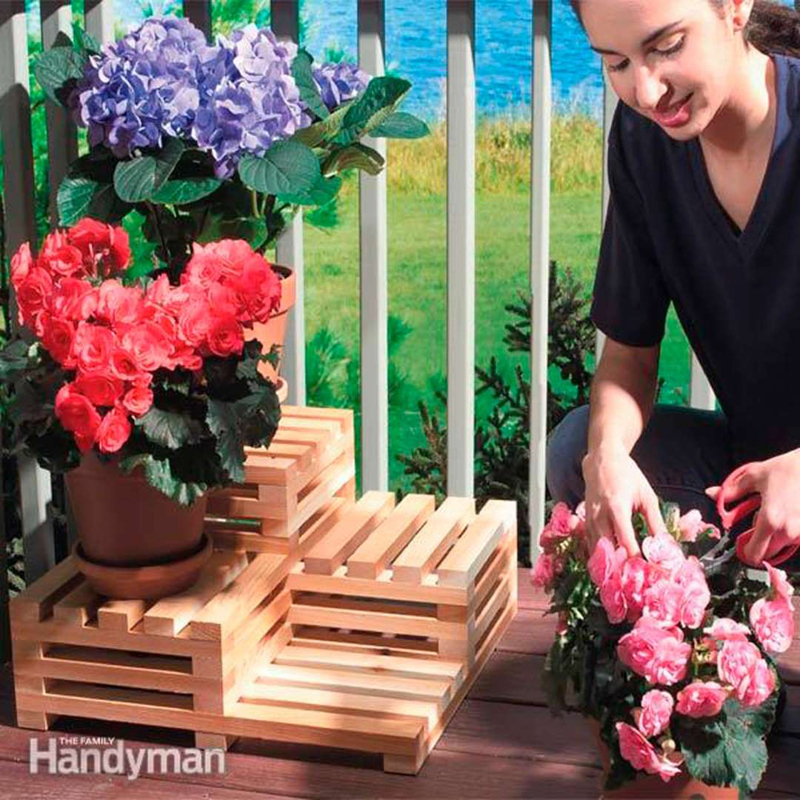 One of the quickest and simplest DIY projects to tackle, this handy wooden planter box only takes an hour to construct and utilizes very simple tools. Even young kids will love to build and plant in it. The instructions include tips and tricks such as how to use a template to size the holes and how to use a bucket to make rounded corners. 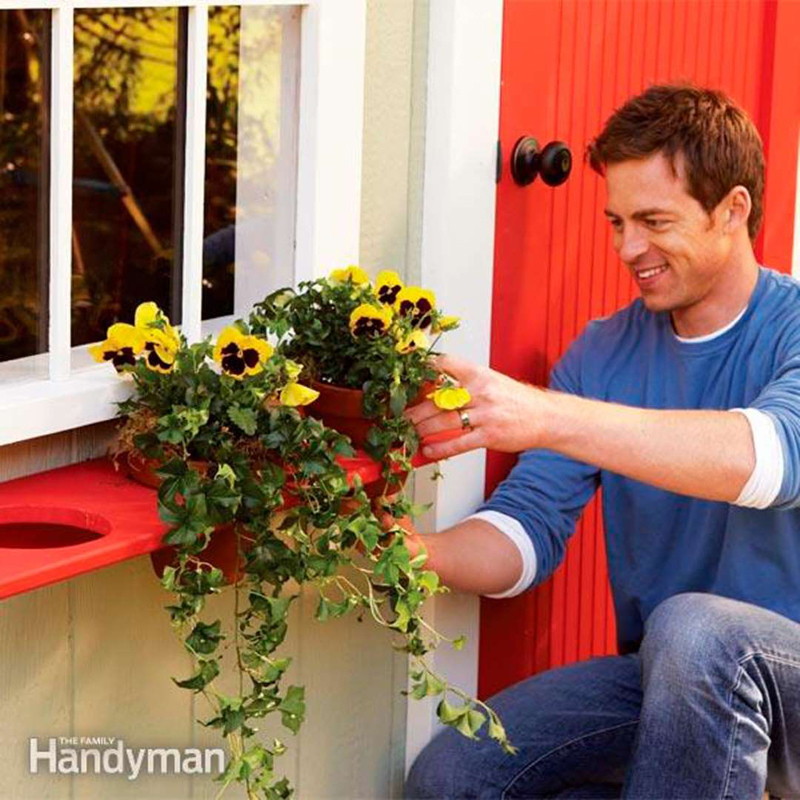 When the planter is finished, paint or stain it to your liking and attach it to a wall or fence. 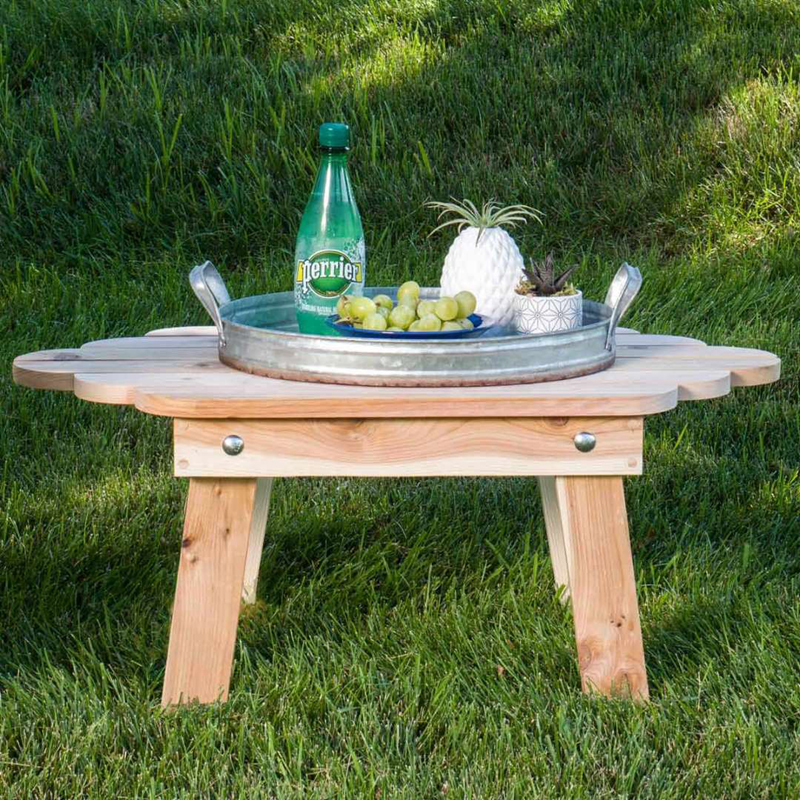 If you're looking for quick yet elegant and inexpensive DIY projects, this stone-top patio table definitely fits the bill. You only need basic tools for this table, together with a drill and caulk gun, and older kids could easily complete most of the construction with a little supervision. Opt for pressure-treated wood to make the table rot-resistant, and let your young co-builder choose the tile for the top. Have your kids grow their own herbs using this simple tiered stand and they'll want to be cooking as well as doing DIY projects. This clever multi-level stand is simpler to make then it looks, using 1x2 cedar strips and galvanized nails to resist rust. A miter saw will make cutting easier, but kids could do the construction themselves, if you keep a watchful eye. Apply stain or a clear preservative to the stand, let it dry and then add plants! 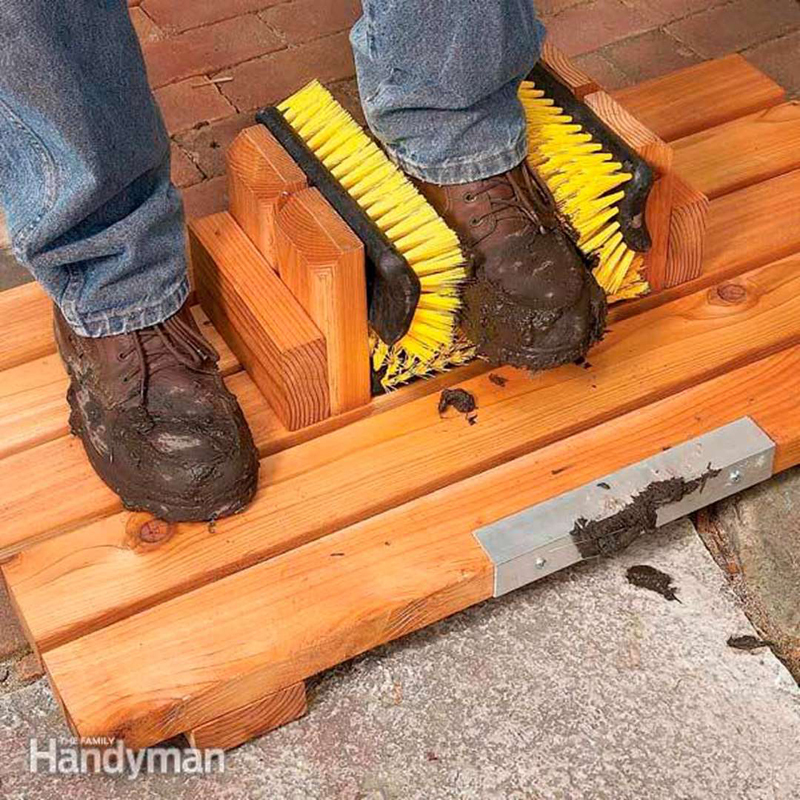 Once you're done in the backyard or garden, you don't want to track muddy footprints through the house, so work with your kids to create this superb mud-busting boot scrape and keep it outside the back door. The baseboard brush and side brushes make short work of removing mud or snow, allowing you to clean your boots hands-free. Easily built from scraps of 2x4, you can make this boot scrape in less than two hours. This self-watering planter not only cuts down on the time you need to spend watering but comes into its own if you're away from home. This more advanced project could be handled by older kids, or let younger ones help with the simpler elements.The planter is built from cedar and lined with heavy-duty pond liner for water retention. Perforated drainpipe aids water distribution. 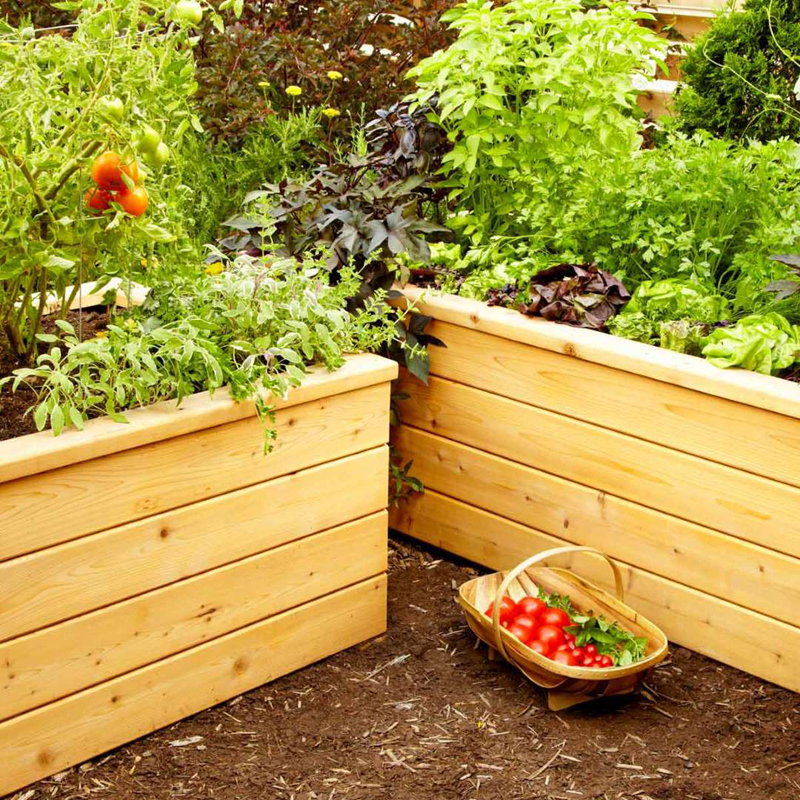 This planter is also perfect for kids who want to grow herbs, veggies or flowers.This planter is heavy, so place it where you want it before filling it. 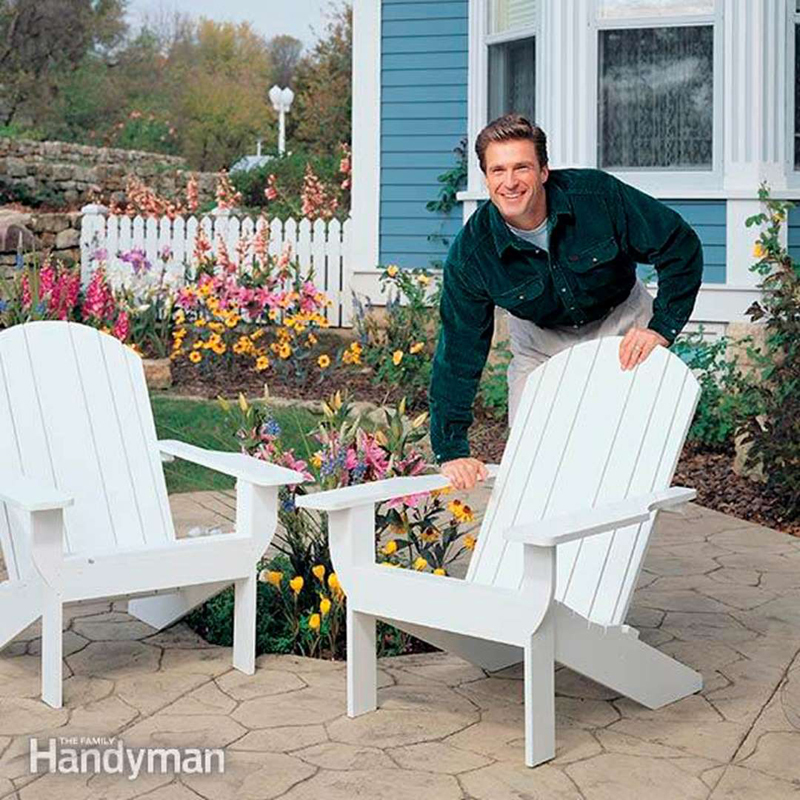 DIY projects for building Adirondack chairs can sometimes be complicated, but this chair is assuredly not difficult. You do need a table saw and a jigsaw, but it would be easy for adults or teens to do the cutting and let younger kids do the assembling. The chair can be made from hardwood (aspen, maple or oak) or softwood, such as pine, cedar or cypress. Adirondack chairs are traditionally painted, but they also look great with a natural finish. Once you've built an Adirondack chair (or several! 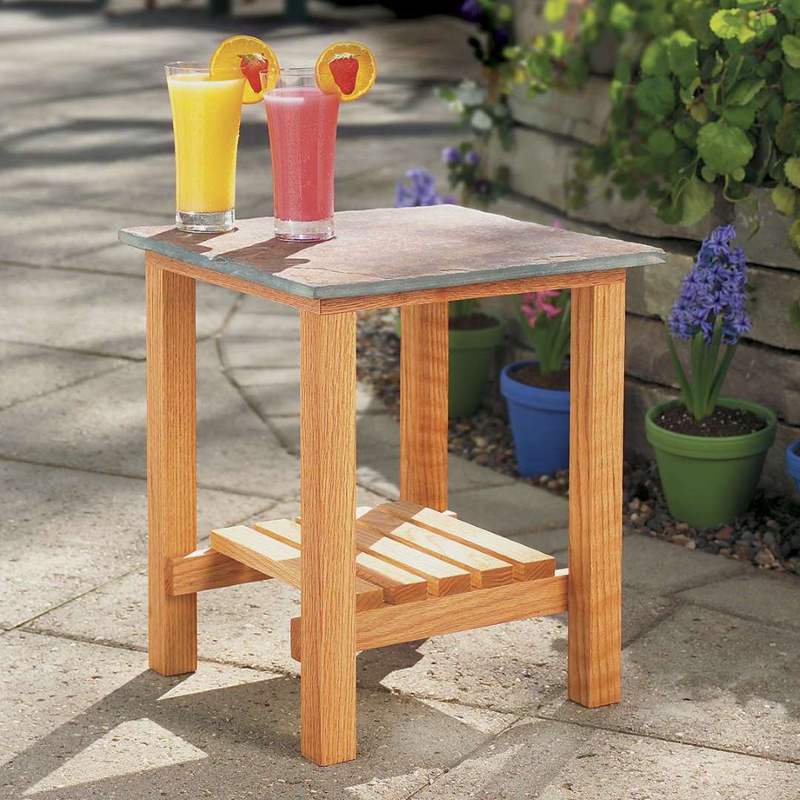 ), what could be better than to have the kids build this matching Adirondack folding table? DIY projects don't come much simpler than this, because you only need basic tools and the table can be built in just a morning, leaving the afternoon for sipping drinks and nibbling snacks using the table! This project has full instructions and also a handy cutting list so you know exactly what you need before you start. 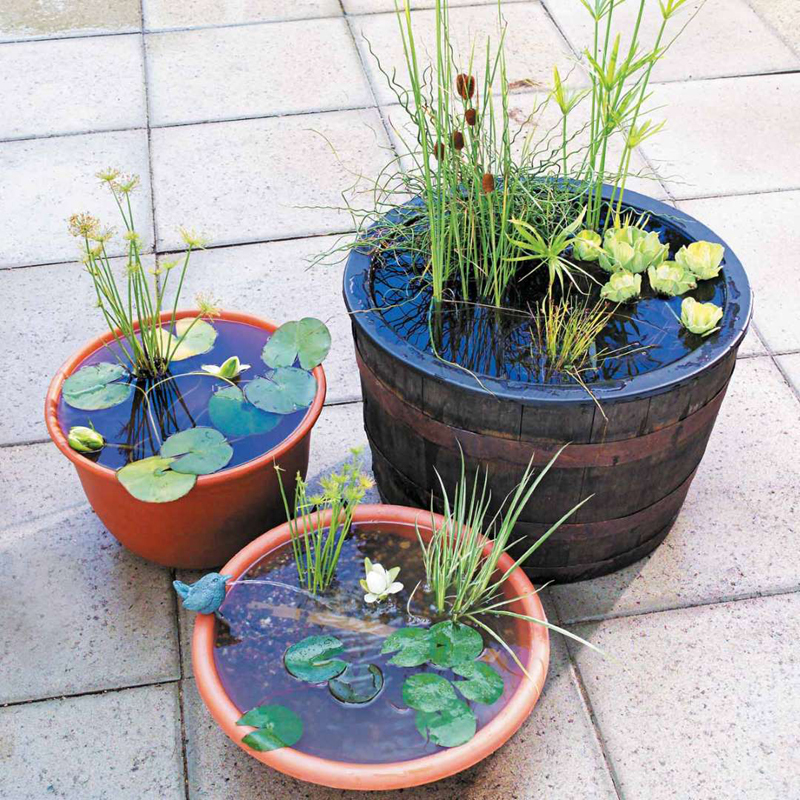 Building a traditional garden pond is a major project, and not really suitable for kids, but this little water garden is not only pretty but simple to put together as well. This project involves constructing two levels within a suitably sized container and uses kitty litter and pea gravel as base layers. Add a water pump and you're good to go. A solar pump will even rule out the need for a cord and you can personalize your pond with stones and small statues.